Victoria Range There are 18 products. The Victoria Small Square Corner Group is composed by a Left and Right Handed Sofas, Corner Sofa and Coffee Table with Glass. 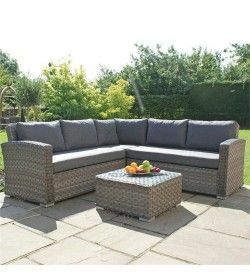 Victoria Wide weave Kingston corner is composed by a Left and Right Handed Sofas, Corner Sofa, Footstool and Coffee Table with Glass. The Victoria 3 Seater Sofa Set is composed by a 3 Seater Sofa, 2 x Armchairs and Coffee Table with Glass. 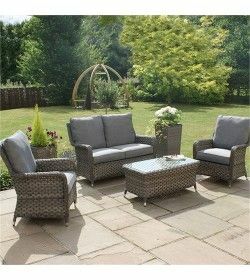 The Victoria 2 Seater High Back Sofa Set is composed by a 2 Seater Sofa,2 x Armchairs and Coffee Table with Glass. 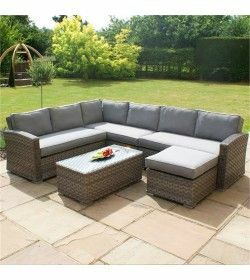 The Victoria 3 Seater High Back Sofa Set is composed by a 3 Seater Sofa, 2 x Armchairs and Coffee Table with Glass. 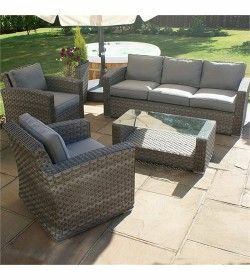 The Victoria 8 Seater Rectangular Dining Set is composed by 8 square Chairs and a Rectangular Table,with a Glass templed top.The highest quality materials and fully weatherproof rattan is what is used to make all of our product ranges. The Victoria 8 Seater Round Dining Set i composed by a 8 x Rounded Armchairs with 180cm Diameter Round Table and templed Glass top. The Victoria 4 Seater Round Dining Set is composed by a 4 x Rounded Armchairs with 120cm diametre Round Table and templed Glass. 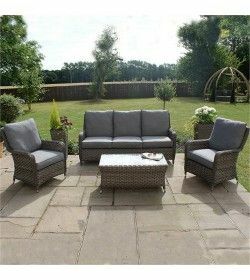 The Victoria 4 Seater Square Dining Set is composed by 4 x Square Armchairs with 900 x 900 Square Table.The highest quality materials and fully weatherproof rattan is what is used to make all of our product ranges. Versatile Victoria casual corner dining set to your patio space. 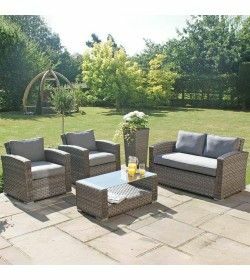 Its adjustable table can be raised or lowered to best suit the occasion, making it perfect for both dining or lounging with family and friends. 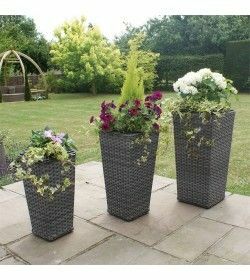 Each furniture set is built with high-quality all-weather rattan, hand-woven over a rust-free powder-coated aluminium frame, so it can be left outdoors all year.